Ali Hosseini Khamenei (Persian: علی حسینی خامنه ای‎, Azerbaijani: سید علی حسینی خامنه‌ای /Seyyid Əli Xameneyi pronounced [ʔæˈliː hoseiˈniː xɒːmeneˈʔiː]; born 17 July 1939) is the current Supreme Leader of Iran and a Shia Cleric. 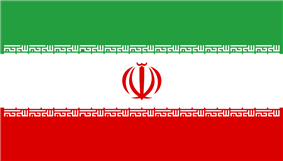 He had also served as the President of Iran from 1981 to 1989. In 2012, Forbes selected him 21st in the list of The World's Most Powerful People. As the head of state, Khamenei is considered the most powerful political authority in Iran. Khamenei was the victim of an attempted assassination in June 1981 that paralyzed his right arm. Khamenei has issued a fatwa saying the production, stockpiling and use of nuclear weapons was forbidden under Islam. Khamenei holds the title of Sayyid, which means that he claims direct patrilineal descent from Ali. Some[which?] of Khamenei's ancestors are from Tafresh in today's Markazi Province, and had migrated from their original home in Tafresh to Tabriz. Born to Seyyed Javad Khamenei and Khadijeh Mirdamadi (daughter of Hashem Mirdamadi) in Mashhad, he is the second eldest of eight children, and two of his brothers are also clerics. His younger brother, Hadi Khamenei, is a renowned newspaper editor and cleric. Khamenei is of ethnic Azeri background while one source claims that his mother was an ethnic Persian-speaker from Yazd. He attended religious studies classes at the rudimentary and advanced levels in the hawza of Mashhad, under his mentors such as Sheikh Hashem Qazvini, and Ayatollah Milani, and then went to Najaf in 1957. After a short stay he left Najaf to Mashhad, and in 1958 he settled in Qom. Khamenei attended the classes of Seyyed Hossein Borujerdi and Ruhollah Khomeini. Later, he was involved in the Islamic activities of 1963 which led to his arrest in Birjand, in Southern Khorasan Province. Shortly thereafter, he was released and resumed teaching in Mashhad's religious schools and mosques, teaching the Nahj al-Balagheh. Some reports have suggested that Ali Khamenei studied at the Peoples' Friendship University of Russia in the Soviet Union when he was young, but his official website makes no mention of this. According to his official biography, Khamenei spent a “clandestine life” in Tehran from 1966 to 1967 after which he was arrested by the police and imprisoned. Khamenei is fluent in Arabic in addition to his mother tongue, Persian. He has translated several books into Persian from Arabic, including the works of the famous Egyptian Islamist theoretician Sayyid Qutb. He is a less fluent speaker of the Azerbaijani language, his father's native language and has some understanding of English. In his analysis of the Persian poetry of Muhammad Iqbal, he states that "We have a large number of non-Persian-speaking poets in the history of our literature, but I cannot point out any of them whose poetry possesses the qualities of Iqbal's Persian poetry. Iqbal was not acquainted with Persian idiom, as he spoke Urdu at home and talked to his friends in Urdu or English. He did not know the rules of Persian prose writing." Nevertheless, he admires Iqbal. Like many other politically active clerics at the time, Khamenei was far more involved with politics than religious scholarship. Khomeini appointed Khamenei to the post of Tehran's Friday prayers Imam in 1979, after forced resignation of Hussein-Ali Montazeri from the post. He served briefly as the Deputy Minister for Defence and as a supervisor of the Islamic Revolutionary Guards. He also went to the battlefield as a representative of the defense commission of the parliament. In June 1981, Khamenei narrowly escaped an assassination attempt when a bomb, concealed in a tape recorder at a press conference, exploded beside him. He was permanently injured, losing the use of his right arm. In 1981, after the assassination of Mohammad-Ali Rajai, Khamenei was elected President of Iran by a landslide vote in the Iranian presidential election, October 1981 and became the first cleric to serve in the office. Ruhollah Khomeini had originally wanted to keep clerics out of the presidency but later changed his views. In his presidential inaugural address Ali Khamenei vowed to eliminate "deviation, liberalism, and American-influenced leftists". Vigorous opposition to the regime, including nonviolent and violent protest, assassinations, guerrilla activity and insurrections, was answered by state repression and terror in the early 1980s, both before and during Khamenei's presidency. Thousands of rank-and-file members of insurgent groups were killed, often by revolutionary courts. By 1982, the government announced that the courts would be reined in, although various political groups continued to be repressed by the government in the first half of the 1980s. Khamenei helped guide the country during the Iraq-Iran War in the 1980s, and developed close ties with the now-powerful Revolutionary Guards. As president, he had a reputation of being deeply interested in the military, budget and administrative details. After the Iraqi Army was expelled from Iran in 1982, Khamenei became one of the main opponents of Khomeini's decision to counter-invade into Iraq, an opinion Khamenei shared with Prime Minister Mir-Hossein Mousavi, with whom he would later conflict during the 2009 Iranian election protests. In its 10 April 1997 ruling regarding the Mykonos restaurant assassinations, the German court issued an international arrest warrant for Iranian intelligence minister Hojjat al-Islam Ali Fallahian after declaring that the assassination had been ordered by him with knowledge of Khamenei and Rafsanjani. This led to a diplomatic crisis between the governments of Iran and several European countries, which lasted until November 1997. Despite international and domestic protests, Darabi and Rhayel were released from prison on 10 December 2007 and deported back to their home countries. Ali Khamenei succeeded Ruhollah Khomeini, the leader of the Iranian Revolution, after Khomeini's death, being elected as the new Supreme Leader by the Assembly of Experts on 4 June 1989. Initially, a council of three members, Ali Meshkini, Mousavi Ardebili and Khamenei, was proposed for Leadership. After the assembly rejected the idea of a Leadership Council (Khamenei and Rafsanjani were both supporting a council), and Grand Ayatollah Mohammad-Reza Golpaygani received only around 14 votes, Khamenei was elected Leader by 60 members out of 74 members present. Since Khamenei was not a Marja' at the time, which the Iranian constitution required, he was named as the temporary Supreme Leader. Later, the constitution was amended and the Assembly of Experts reconvened on 6 August 1989, to reconfirm Khamenei with 60 votes out of 64 present. The concept that the ruler of the land should be an Islamic jurist serving as "guardian" (Vali faqih ولی فقیه in Persian), was developed by Ayatollah Ruhollah Khomeini in a lecture series made book. In this kind of theocratic "guardianship" leadership (Velayat-e Faqih, ولایت فقیه ), no political decision is lawful until it is approved by the guardian jurist who is called Leader (رهبر Rahbar in Persian) by the Iranian constitution. Even the taking of office by the democratically elected president is subject to the approval of the Leader. Khamenei's era as leader has differed from that of his predecessor Khomeini. He has continued Khomeini's policy of "balancing one group against another, making sure that no single side gains too much power." But lacking Khomeini's charisma and clerical standing, he has developed networks, first inside the armed forces, and then among the clerics administering the major religious foundations (or bonyads), and seminaries of Qom and Mashhad. According to Vali Nasr, he has brought many of the powers of the presidency with him into the office, turning it into an "omnipotent overseer of Iran's political scene". Officials under Khamenei influence the country's various powerful, and sometimes bickering, institutions, including "the parliament, the presidency, the judiciary, the Revolutionary Guards, the military, the intelligence services, the police agencies, the clerical elite, the Friday prayer leaders and much of the media", as well as various "nongovernmental foundations, organizations, councils, seminaries and business groups". Under him, the government is said to resemble "a clerical oligarchy more than an autocracy." [He] speaks only at special gatherings, such as an occasional Friday prayer or commemoration ceremonies of one sort or another. The Leader meets with foreign dignitaries (almost exclusively Muslim) but limits any televised and public words to generalities, such as Iran's support for the country (or entity like Hamas or Hezbollah) whose emissary he is meeting, Iran's peaceful and Islamic nature, and Iran's eagerness to expand trade and contacts with the friendly country in question. He pointedly does not meet with representatives of Western powers. The Leader does not travel overseas; if anyone wishes to see him, that person must travel to Iran. Apart from his time in Najaf as a student, Khamenei travelled to Libya during his time as President. Despite this policy, as leader, Khamenei reserves the right to "inject himself into the process and 'correct' a flawed policy or decision." In his speeches Khamenei regularly mentions many familiar themes of the 1979 revolution: justice, independence, self-sufficiency, fundamentalist Islamic government and resolute opposition to Israel and United States, while rarely mentioning other revolutionary ideals such as democracy and greater government transparency. Dealing with the presidents who have served during his reign, Khamenei has successfully sculpted President Rafsanjani's attempts to find a modus vivendi with the United States, President Khatami's aspirations for a more democratic Islamic state, and President Ahmadinejad's desire for confrontation. Ruhollah Khomeini had recommended Khamenei to be his successor, stating, “He enjoys that level of ijtihad required to be a Wali al-Faqih”. In the First Assembly of the Assembly of Experts which was held after the demise of Khomeini, Ali Khamenei was elected as the Guardianship of the Islamic Jurists by two thirds of the votes. Though Khamenei opposed this and argued heavily against the decision, he eventually accepted the decision after debating with the mujtahids (experts in many Islamic fields) of the Assembly. This new amendment to the constitution had not been put to a referendum yet, so after voting for Khamenei, the Assembly of Experts internally titled him a temporary office holder until the new constitution became effective. His status as Marja' is controversial. In 1994, after the death of Grand Ayatollah Mohammad Ali Araki, the Society of Seminary Teachers of Qom declared Khamenei a new marja. However, four of Iran's dissident grand ayatollahs declined to recognize Khamenei as a marja. Khamenei's acceptance of marja'iyat for Shi'as outside Iran does not have traditional precedence in Shi'ism. Marja'iyat can be, and in modern times it increasingly is, transitional. Grand Ayatollah Mohammad Shirazi, who was under house-arrest at the time for his opposition to Grand Ayatollah Ruhollah Khomeini, did not accept Leader Ayatollah Ali Khamenei as a marja. According to "Human Rights in Iran" (2001) by Pace University's Reza Afshari, Shirazi was "indignant" over recognition of Khamenei as the Leader and a marja. Shirazi (who died in late 2001) apparently favored a committee of Grand Ayatollahs to lead the country. Other marjas who questioned the legitimacy of Khamenei's marja'yat were dissident clerics: Grand Ayatollah Hossein-Ali Montazeri, Grand Ayatollah Hassan Tabatabai-Qomi and Grand Ayatollah Yasubedin Rastegar Jooybari. In 1997 the more senior Grand Ayatollah Hossein-Ali Montazeri, "questioned the powers of the Leader" and was punished with the closure of his religious school, an attack on his office in Qom" and a period of house arrest. In 2010, Grand Ayatollah Khamenei issued a fatwa which bans any insult to the Sahabah (companions of Muhammad) as well as Muhammad's wives. It has been argued by some that the fatwa was issued in an effort to reconcile legal, social, and political disagreements between Sunni and Shia. Khamenei is one of the Ulama signatories of the Amman Message, which gives a broad foundation for defining Muslim orthodoxy. Khamenei has issued a fatwa saying the production, stockpiling and use of nuclear weapons was forbidden under Islam. Iran's nuclear program has been a subject of international debate for decades. The Iranian government claims the purpose of its nuclear development is to produce electricity, while some western countries accuse it of trying to create nuclear weapons. 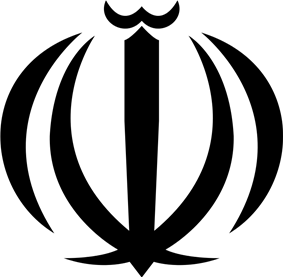 The fatwa was cited in an official statement by the Iranian government at an August 2005 meeting of the International Atomic Energy Agency (IAEA) in Vienna., While the fatwa is widely discussed and accepted by US and other international officials, some have questioned whether the fatwa could be an example of taqiyya (dissimulation), or might be changed and even reversed by Khamenei in the future (as then-Supreme Leader Ayatollah Khomeini did during the Iran-Iraq war to his doctrinal ban on indiscriminate weapon, ordering the resumption of research into the development of nuclear bombs). Others — specifically the pro-Israeli MEMRI institute — have questioned the fatwa's actual existence, stating that while the Islamic Republic has often mentioned it, no fatwa on the subject appears on the official websites of Supreme Leader, or in lists made by supporters of Khamenei's past fatwa, or mentions of the ban on the use of nuclear weapons. In 2000 he was listed by the Committee to Protect Journalists as "one of the top ten enemies of the press and freedom of expression", and was named to the Time 100 in 2007. Opposition journalists Ahmad Zeidabadi, Mohsen Sazegara, Mohammad Nourizad and Akbar Ganji were arrested and investigated for spreading critical articles containing unproven charges against Khamenei's policies as the leader and some organizations. According to the Iran's Press Law "spreading rumors and lies and distorts the words of others" is not allowed. Also, according to the law, "spreading libel against officials, institutions, organizations and individuals in the country or insulting legal or real persons who are lawfully respected, even by means of pictures or caricatures" is not allowed. In mid August 2009 a group of unnamed former reformist lawmakers appealed to the Assembly of Experts — the constitutional body charged with electing and (in theory) supervising and removing the Leader – to investigate Leader Ali Khamenei's qualification to rule. A week later another anonymous letter was issued "calling Iran’s leader a dictator and demanding his removal," this one by a group of Iranian clerics. The letters were called a blow to Khamenei's "status as a neutral arbiter and Islamic figurehead" and an "unprecedented challenge to the country's most powerful man" though not a blow to his actual power as leader. The New York Times reports "the phrase `death to Khamenei` has begun appearing in graffiti on Tehran walls, a phrase that would have been almost unimaginable not long ago." 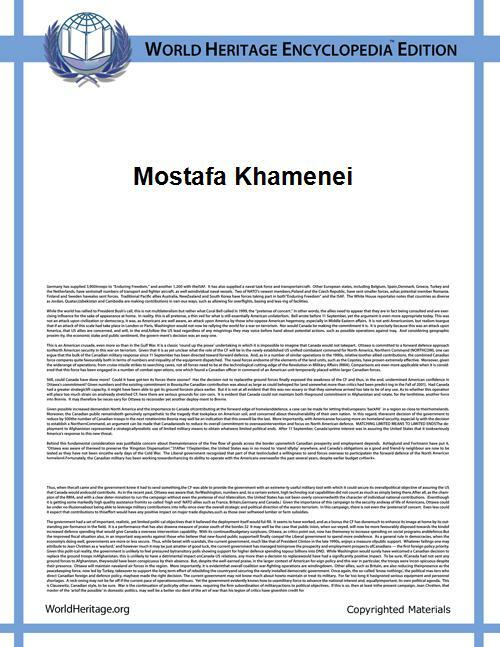 According to The New York Times an 11-page anonymous letter by a group of Iranian clerics was issued 15 August "calling Iran’s leader a dictator and demanding his removal." According to the New York Times, a "prominent Iranian cleric and a former lawmaker said on Sunday that they had spoken to some of the authors and had no doubt the letter was genuine." According to this cleric the letter's signatories number "several dozen, and are mostly midranking figures from Qum, Isfahan and Mashhad," and that a “the pressure on clerics in Qum is much worse than the pressure on activists because the establishment is afraid that if they say anything they can turn the more traditional sectors of society against the regime,” "
Early in his presidency, Ahmadinejad was sometimes described as "enjoy[ing] the full backing" of the Supreme Leader Ali Khamenei, and even as being his "protege." In Ahmadinejad's 2005 inauguration the supreme leader allowed Ahmadinejad to kiss his hand and cheeks in what was called "a sign of closeness and loyalty," and after the 2009 election fully endorsed Ahmadinejad against protesters. However as early as January 2008 signs of disagreement between the two men developed over domestic policies, and by the period of 2010–11 several sources detected a "growing rift" between them. The disagreement was described as centering on Esfandiar Rahim Mashaei, a top adviser and close confidant of Ahmadinejad and opponent of "greater involvement of clerics in politics", who was first vice president of Iran until being ordered to resign from the cabinet by the supreme leader. In 2009 Ahmadinejad dismissed Intelligence Minister Gholam-Hossein Mohseni-Eje'i, an opponent of Mashaei. In April 2011, another Intelligence minister, Heydar Moslehi, resigned after being asked to by Ahmadinejad, but was reinstated by the supreme leader within hours. Ahmadinejad declined to officially back Moslehi's reinstatement for two weeks and in protest engaged in an "11-day walkout" of cabinet meetings, religious ceremonies, and other official functions. Ahmadinejad's actions led to angry public attacks by clerics, parliamentarians and military commanders, who accused him of ignoring orders from the supreme leader. Conservative opponents in parliament launched an "impeachment drive" against him, four websites with ties to Ahmadinejad reportedly were "filtered and blocked", and several people "said to be close" to the president and Mashaei (such as Abbas Amirifar and Mohammed Sharif Malekzadeh) were arrested on charges of being "magicians" and invoking djinns. On 6 May 2011, it was reported that Ahmadinejad had been given an ultimatum to accept the leader's intervention or resign, and on 8 May he "apparently bowed" to the reinstatement, welcoming back Moslehi to a cabinet meeting. The events have been said to have "humiliated and weakened" Ahmadinejad, though the president denied that there had been any rift between the two, and according to the semiofficial Fars News Agency, he stated that his relationship with the supreme leader "is that of a father and a son." In 2012, Khamenei ordered a halt to a parliamentary inquiry into Ahmadinejad's mishandling of the Iranian economy. Khamenei is regarded by some as the figurehead of the country's conservative establishment. He is the commander in chief of all armed forces and appoints the head of judiciary system and national radio and television. Khamenei supported Mesbah Yazdi describing him as one of Iran's most credible ideologues prior to the 2005 election, but has reportedly "recently been concerned about Mesbah's political ambitions." Mesbah is a critic of reform movement in Iran and was seen as President Ahmadinejad's spiritual guide. In 2007, Khamenei requested that government officials speed up Iran's move towards economic privatization. Its last move towards such a goal was in 2004, when Article 44 of the constitution was overturned. Article 44 had decreed that Iran's core infrastructure should remain state-run. Khamenei also suggested that ownership rights should be protected in courts set up by the Justice Ministry; the hope was that this new protection would give a measure of security to and encourage private investment. On 30 April 2008, Ali Khamenei backed President Ahmadinejad’s economic policy and said the West was struggling with more economic difficulties than Iran, with a "crisis" spreading from the United States to Europe, and inflation was a widespread problem. The Iranian leader said that the ongoing economic crisis which has crippled the world has been unprecedented in the past 60 years. “This crisis has forced the UN to declare state of emergency for food shortages around the globe but foreign radios have focused on Iran to imply that the current price hikes and inflation in the country are the results of carelessness on the part of Iranian officials which of course is not true”, he said. Khamenei emphasized that no one has the right to blame the Iranian government for Iran’s economic problems. He also advised people and the government to be content and avoid waste in order to solve economic problems. “I advise you to keep in your mind that this great nation is never afraid of economic sanctions”, he added. Bahá'ísm is officially considered a dangerous cult and is banned in Iran and several other countries, and has been listed as a cult in Belgium while others have expressed concern about the group, as with other new religions as Scientology. Khamenei has approved new legislation against Bahá'ís in Iran and lessen their influence abroad. According to a letter from the Chairman of the Command Headquarters of the Armed Forces in Iran addressed to the Ministry of Information, the Revolutionary Guard and the Police Force, Khamenei has also ordered the Command Headquarters to identify people who adhere to the Bahá'í Faith and to monitor their activities and gather any and all information about the members of the Bahá'í Faith. Khamenei reportedly opposed the building of a Sunni mosque in Iran's capital, Tehran. According to a Tehran resident quoted by the Asia Times newspaper, reformist former president Mohammad Khatami stated that Khamenei's opposition was the reason he had not followed through on his campaign promise to allow the building of a Sunni mosque in Tehran. Khamenei directly appoints the head of IRIB and the organization works under his responsibility. The state controls most radio and television news outlets, and it is often these pro-government voices that disseminate the official hard-line rhetoric. Many people complain of propaganda in state-controlled media. As "Vali faqih", or Leader, Ali Khamenei issued a fatwa ruling stating that the decisions of the Vali faqih "in all the matters that concerns Muslims and Islam," are "the will and decision of the whole nation." In 1999, Khamenei issued a fatwa stating that it was permitted to use a third-party (donor sperm, ova or surrogacy) in fertility treatments. This was in clear opposition to the fatwa on ART by Gad El-Hak Ali Gad El-Hak of Egypt's Al-Azhar University in the late 1980s which permitted ART (IVF and similar technologies) as long there is no third-party donation (of sperm, eggs, embryos, or uteruses). This led to an upsring of fertility tourism in Iran. In 2002 Khamenei intervened against the death sentence given to Hashem Aghajari for arguing that Muslims should re-interpret Islam rather than blindly follow leaders. Khamenei ordered a review of the sentence against Aghajari and it was later commuted to a prison sentence. In July 2007, Khamenei criticized Iranian women's rights activists and the Convention on the Elimination of All Forms of Discrimination Against Women (CEDAW): "In our country ... some activist women, and some men, have been trying to play with Islamic rules in order to match international conventions related to women," Khamenei said. "This is wrong." Khamenei made these comments two days after Iranian women's rights activist Delaram Ali was sentenced to 34 months of jail and 10 lashes by Iran's judiciary. Iran's judiciary works under the auspices of the supreme leader and is independent from the government. With regard to women's dress, Khamenei believes in the need for compulsory hijab. Khamenei claims that "Today, homosexuality is a major problem in the western world. They [western nations] however ignore it. But the reality is that homosexuality has become a serious challenge, pain and unsolvable problem for the intellectuals in the west." In 2007, Iranian police under the direction of Khamenei launched a "Public Security Plan", arresting dozens of "thugs" to increase public security. The arrested "thugs" are sometimes beaten on camera in front of neighborhood inhabitants, or forced to wear hanging watering cans used for lavatory ablutions around their necks. During the first three months of the campaign, 62,785 women were stopped by police in Tehran for not strictly adhering to Islamic dress code. Of these, 1,837 were arrested. As Supreme Leader, Khamenei has influence over elections in his appointment of half of the members of the Council of Guardians, who approve or disqualify candidates for office. In February 2004 the Council of Guardians, disqualified thousands of candidates, including 80 incumbents (including the deputy speaker), many of the reformist members of the parliament, and all the candidates of the Islamic Iran Participation Front party from running in the 2004 parliamentary elections. It did not allow to run in the election. 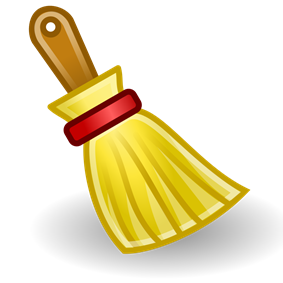 The conservatives won about 70% of the seats. The parliamentary election held on 20 February 2004 in Iran was a key turning point in that country's political evolution. The election marked the conclusive end of the campaign for political and social reform initiated by Mohammad Khatami after he was elected president in a landslide vote in May 1997. Khamenei has taken a firm stand against what has been described as "the greatest domestic challenge in 30 years" to the leadership of the Islamic Republic – the 2009 Iranian election protests. He has stated that he will neither reconsider vote results nor bow to public pressure over the disputed reelection of President Mahmoud Ahmadinejad. "By Allah's favor, the presidential election was accurately held, and the current matters should be pursued legally." In a public appearance on 19 June he expresses his support for the declared winner Ahmadinejad and accused foreign powers – including Britain, Israel and the United States – of helping foment protest against the election results. In particular, he singled out Britain, perceiving the country as the "most evil" of its enemies. He said that the Iranian people will respond with an "iron fist" if Western powers meddle in Iran's internal affairs. Khamenei has called human rights a fundamental principle underlying Islamic teachings, that precedes western concern for human rights by many centuries. Human Rights in Islam include the rights to live, to be free, and to benefit from justice and welfare. He has attacked Western powers who have criticized the rights record of the Islamic Republic for hypocrisy saying that these countries economically oppress people in Third World countries and support despots and dictators. In response to Western complaints of human rights abuses in Iran he has stated that the American administration has committed many crimes and is therefore not fit to judge the Islamic Republic. In a visit with hardline cleric Mohammad Taghi Mesbah Yazdi, Khamenei praised Mesbah’s books and thoughts as being original, very useful, solid and correct. He also stated that the Islamic world needs these ideas today more than any time in the past. Mesbah Yazdi advocates a return to the values of the 1979 Iranian revolution and is a prominent opponent of the Reformist movement in Iran. Khamenei has "direct responsibility" for foreign policy, which "cannot be conducted without his direct involvement and approval". He has a foreign policy team independent of the president's "which includes two former foreign ministers" and "can at any time of his choosing inject himself into the process and `correct` a flawed policy or decision." His foreign policy is said to steer a course that avoids either confrontation or accommodation with the West. On 14 September 2007, Ayatollah Ali Khamenei (on 1st Friday prayer of Ramadan) predicted that George Bush and American officials will one day be tried in an international criminal court to be held "accountable" for the U.S.-led invasion of Iraq. He has also blamed the United States for "blind terrorism" after its invasion of Iraq. He asserts that the United States is the main cause of insecurity in Iraq. In June 2011, Khamenei accuses the United States government of terrorism and rejected the American definition of terrorism; he was quoted as saying, "The U.S. and the European governments that follow it describe Palestinian combatant groups who fight for the liberation of their land as terrorists." After the September 11, 2001 attacks, Khamenei condemned the act and the attackers and called for a condemnation of terrorist activities all over the world, but warned strongly against a military intervention in Afghanistan. He is quoted as saying, "Mass killings of human beings are catastrophic acts which are condemned wherever they may happen and whoever the perpetrators and the victims may be". Khamenei remains a steadfast opponent of the State of Israel and Zionism. On 15 December 2000, Khamenei famously remarked that "this cancerous tumor of a state [Israel] should be removed from the region" and that "no one will allow a bunch of thugs, lechers and outcasts from London, Washington and Moscow to rule over the Palestinians." On the same occasion he proposed that "Palestinian refugees should return and Muslims, Christians and Jews could choose a government for themselves, excluding immigrant Jews." According to anti-regime change activist Abbas Edalat, in 2005 Khamenei responded to President Ahmadinejad's remark that Zionism should be "wiped off the map" by saying that "the Islamic Republic has never threatened and will never threaten any country." Moreover Khamenei's main advisor in foreign policy, Ali Akbar Velayati, refused to take part in a Holocaust conference. In contrast to Ahmadinejad's remarks, Velayati said that the Holocaust was a genocide and a historical reality. In a sermon for Friday prayers in Tehran on 19 September 2008, Khamenei stated that "it is incorrect, irrational, pointless and nonsense to say that we are friends of Israeli people," and that he had raised the issue "to spell an end to any debates". The remarks were made in reference to earlier comments by Esfandiar Rahim Mashaei, ex-vice president in charge of tourism, and former president Mahmoud Ahmadinejad, who had both insisted that Iran was the enemy of the Zionist state but not of the Israeli people. In a September 2009 sermon, Khamenei was quoted as saying, "the Zionist cancer is gnawing into the lives of Islamic nations." Khamenei has six children. One of his sons, Mojtaba, married a daughter of Gholamali Haddad Adel. Khamenei says that he sometimes reads American magazines such as Time and Newsweek. Khamenei's health has been called into question. In January 2007, after he had not been seen in public for some weeks, and hadn't appeared (as he traditionally does) at celebrations for Eid al-Adha, rumours spread of his illness or death. Khamenei issued a statement declaring that "enemies of the Islamic system fabricated various rumors about death and health to demoralize the Iranian nation," but according to author Hooman Majd he appeared to be "visibly weak" in photos released with the statement. An unidentified ally of former Iranian President Akbar Hashemi Rafsanjani stated in autumn 2009 that Khamenei had terminal leukemia and was expected to die within months, and Rafsanjani's unwillingness to act after the disputed Presidential election in 2009 was coming from his wish to succeed Khamenei and annul Mahmoud Ahmadinejad's election afterwards. 1979 – Founded the Islamic Republic Party, along with like-minded clerics such as Mohammad Beheshti, Mohammad Javad Bahonar, Abdolkarim Mousavi Ardebili, and Akbar Hashemi Rafsanjani. 1981 – Elected President of the Islamic Republic of Iran after assassination of Muahmmad Ali Raja’i, and was re-elected to a second term in 1985. 1989 – Khamenei became the Supreme Leader of the Islamic Republic of Iran by choice of the Council of Experts, after the death of Ayatollah Khomeini.